TVC for BCR, presenting the new brand manifesto. BCR, leader of the Romanian banking sector and the bank with the highest level of trust, wanted to change its communication platform, to align itself to the new business perspective: driving prosperity for Romanians, by supporting the most important areas of the social and individual development: infrastructure, education, technology, quality of life, business & individual financing, social good and many others. Romanians have great potential for achieving prosperity, but they are skeptical about doing it in Romania, having been disappointed several times. BCR wants to give them the confidence to achieve whatever they have in mind and to unlock their hidden potential. Confidence builds confidence: when somebody encourages you and helps you build your self-confidence, then you find the inner power to follow your dreams. We all have people who’ve helped us build our self-confidence in an essential moment of our formation: teachers, coaches, educators, mentors and this campaign is about them – the essential source of our self-trust. The campaign launched the new brand manifesto and started a new era in the brand’s life: Romania needs people who believe in themselves. 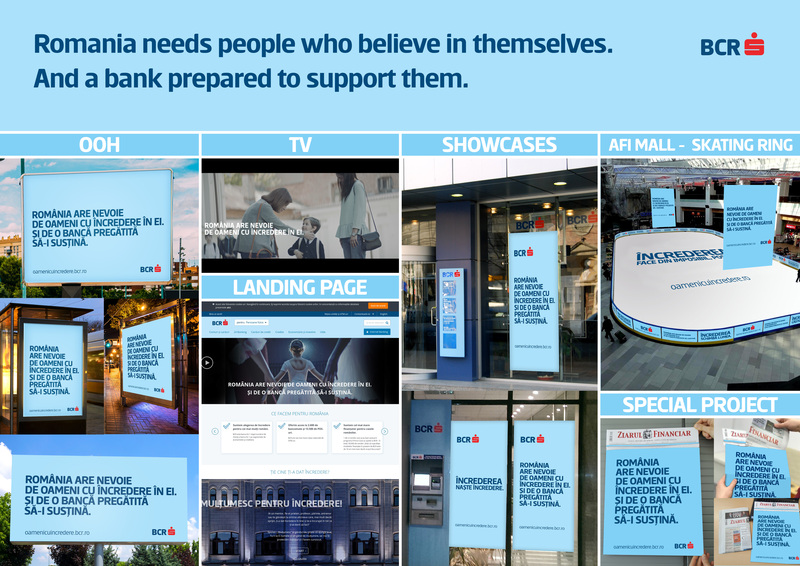 And a bank that believes in them. To convey the message, the campaign pays tribute to all these important people in our lives, teachers, mentors, guides, educators, professors etc. The TVC depicts decisive moments influenced by teachers in a brand manifesto that sets the new brand mission and values of BCR. The online and the BTL executions gathered “thank you”-s from many Romanians and made them public for their mentors and everybody else to see.